I'm a big fan of the New Scientist and The Economist, so I was happy to read about the launch of yet another British magazine for the intellectually curious. BBC Knowledge will cover a broad range of topics and has just been launched in the US; I subscribed today. I recently finished reading Kluge and it was one of the best books I've read for a long time. 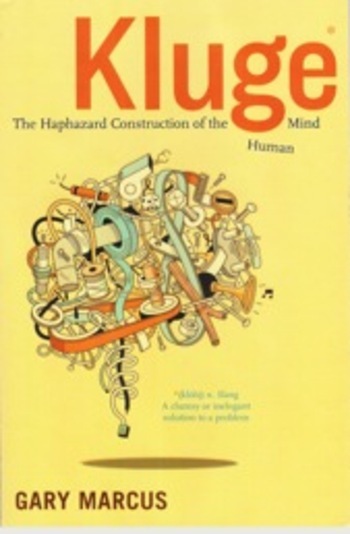 Kluge showcases the haphazard construction of the Human Mind and the consequences of its architecture. He demonstrates through a series of compelling examples how and why we often make irrational decisions. He concludes that only by being aware of our built-in weaknesses and striving hard to override them can we hope to improve the wisdom of our actions. Probably around 2,000. They're stacked all over the place, sometimes 2 or 3 deep which makes it hard to find a particular book. I hope to have a larger home in the future where all my books are visible and easy to search. The Sovereign Individual by Davidson and Rees-Mogg. It's a fascinating book that makes a strong case that wealthy people in the future will declare their independence from any particular country. Lady of Mazes by Karl Schroeder. This sci-fi book was recommended to me by a friend in Dallas with very good taste. It's set in the far future and filled with action, ideas and intellectual energy. 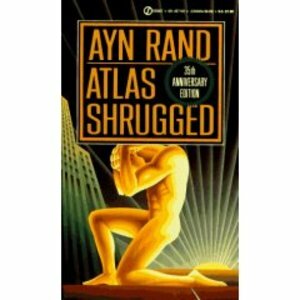 Atlas Shrugged by Ayn Rand. This is a mystery novel that showcases Ayn Rand's philosophy of individual freedom. It was relevant back in the 60s and is just as relevant today. I had always believed in liberty, but this book showed me how much deeper the rabbit hole goes. 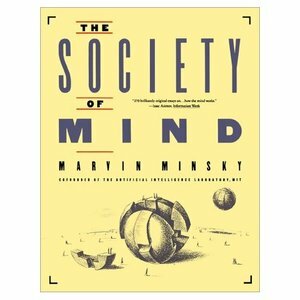 Society of Mind by Marvin Minsky. This book, written in an unusual style where every page is an individual "chapter", describes Dr. Minsky's theory that our brain is really a colony organism. In a nutshell, your big "Me" is really the sum product of all your mini "Me"s interacting with each other. It's a theory I strongly believe and it heavily influences the way I think about minds. 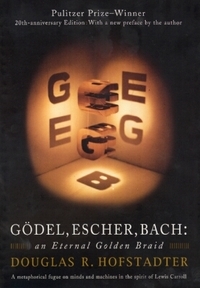 Godel, Escher, Bach by Douglas Hofstadter. This book masterly weaves stories about three geniuses in the fields of Math, Art and Music to delve into the heart of creativity, intelligence and consciousness. It's one of the most profound books I've ever read, and won its author the Pulitzer prize while he was still a graduate student. 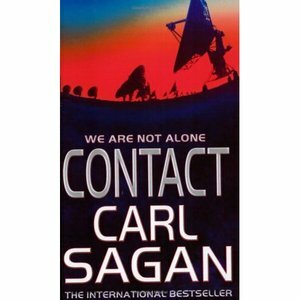 Contact by Carl Sagan. This book is about what happens when Earth is first contacted by aliens. It's very imaginative and includes several important plot lines that are not in the movie including an incredible ending. The Boy's Book of Knowledge. This was one of the first books I ever owned, and was a present from my parents when I was about 5 years old and living in Iran. I read the book almost every night, and particularly enjoyed the chapter about space and science. It definitely reinforced my love of learning, exploring, and reading. During periods of my life where I've been sad and needed some inspiration, I've often found solace in Ayn Rand's crowning achievement, Atlas Shrugged. The first time I read the book I would often think "I'm not worthy" because the heroes had more strength and resolve than I could ever have. But over time I've come to view them as useful reference points that exhibit, in an albeit stilted fashion, qualities that I like to strive for. I recently read the book "The Man who deciphered Linear B" based on a recommendation by my friend Roman Stanek. It's the story of Michael Ventris, a gifted Englishman who managed to decipher the enigmatic Linear B tablets with a combination of systematic detective work and inventive guesswork. What makes it even more impressive is that Michael was an architect by profession; Linear B was a hobby of his that consumed more of his time than he originally intended. Highly recommended! Update: As Roman points out, Michael Ventris published his findings regularly to the community, essentially taking a pioneering "open-source" approach to cracking the puzzle. I just finished reading This is your Brain on Music, a book by Daniel Levitin that looks deeply into how our brain processes music and why music is such an important part of our lives. The author has a perfect background for writing such a book; he was a record producer who became a neuropsychologist. Because of this, he is able to gather and piece together clues from a wide variety of sources. The left-hemisphere regions that are active in tracking musical structure are the same ones that deaf people use when communicating by sign language. At an early age, babies are thought to be synethestic and experience the world as a sort of psychedelic union of everything sensory; the number five is red, cheese tastes like D-flat, and roses smell like triangles. The saxaphone part in the Beatle's Lady Madonna is actually the four Beatles singing into their cupped hands. He ends the book with a discussion of how music might play an evolutionary role. For example, it's possible that a display of original musical talent indicates intelligence which in turn attracts a mate. And on a related note, he mentions that human females are actually attracted more to creativity than to wealth since creative types are more likely to furnish better genes. I highly recommend this book to anyone who is interested in music. As part of my efforts to understand more about the Russian culture, I recently purchased a book of Russian Fairy Tales. I think cultures use such stories as a way to teach their children core values, so I was quite surprised and very amused by some of the tales I've read so far. For example, here is the synopsis of one fairy tale called Salt. A merchant had three sons. The youngest son was called Ivan the fool. One day, he bought a cheap boat and went out to sea. After four days, he was blown to a remote island where he found a mountain of pure Russian salt. He loaded up his boat with the salt and traveled to another country hoping to trade it. The country where Ivan landed had never seen salt before and did not value it. So he sneaked into the King's kitchen and put salt into his food. The King loved the improved taste so much he decided to buy all Ivan's salt for silver and gold. He also allowed Ivan to become engaged to his daughter, a beautiful princess. When Ivan returned with his bride and riches, his brothers became jealous and kidnapped him. They took him out to sea and threw him overboard. In addition, the eldest brother stole his bride and arranged for her to marry him instead. Ivan swam to a nearby island and was rescued by a giant. The giant carried Ivan on his shoulders back across the sea to his homeland, and told him that if he mentioned the rescue to anyone, the giant would kill him. Ivan promised he would keep it a secret, thanked the giant and walked back home. When he got back home, he told his father about what had happened. The father was furious and drove the other brothers out of the house. Ivan was reunited with his bride and had a great celebration. During the feast, Ivan got drunk and told a story about his rescue to the other revelers. Just then, the giant appeared and told Ivan that because he had broken his promise, the giant would have to kill him. Ivan told the giant that it was not him talking, it was his drunkenness. The giant did not know the meaning of drunkenness, so Ivan commanded that the giant be given a hundred gallon barrel of wine and a hundred gallon barrel of beer. The giant drank it all, then wrecked the village and slept for three days and three nights. When the giant awoke, he saw what he had done to the village and told Ivan that he now understood drunkness. Then he told Ivan than he would not kill him after all and he could talk about the rescue whenever he wanted. If not too sure what the moral of this story is, but it might be having an effect on the consumption of Russian Vodka! I just finished reading "Hackers and Painters" by Paul Graham. The book is a collection of essays around the common theme of software technology. Paul writes with insight and eloquence about a wide variety of topics, including nerds, clear thinking, how to make money, how to start a company, computer languages and software design. If you're a techie, especially one with an interest in software startups, then I highly recommend it. I've become fairly addicted to A Treasure's Trove, and spent about 8 hours today reading the 12Gems and Tweleve forms to get up to speed with the community's progress. I'd like to contribute to the group-think on this topic, and therefore want to avoid wasting valuable time trying to crack puzzles that have already been solved. If you're interested in similar books, I recommend checking out Treasure, which contains clues to a golden horse worth over a millions dollars. The puzzle was solved after the expiration date, but is still a fascinating read. I finally got my copy of A Treasure's Trove from Amazon, and have started to hunt through it for clues. There are two sites dedicated to helping readers share clues and find the treasures: 12Gems and Tweleve (not a typo). An interesting article in Wired describes how these sites are allowing readers to network and form giant problem-solving machines, cracking puzzles far quicker than in the past. Thankfully, in spite of all this activity, none of the gems have been found so far. This blog claims a complete solution, but I've heard that it is bogus. This is the second in a series of blog entries: here is part 3.